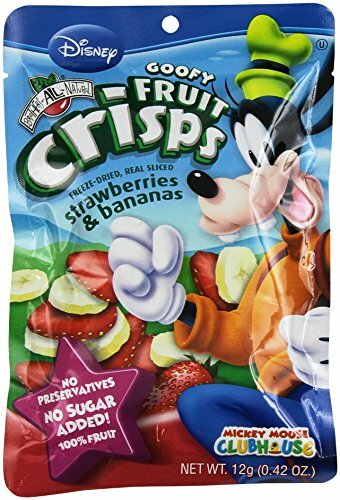 Brothers-ALL-Natural Goofy strawberry/banana crisps are a delicious, delightfully light and flavorful fruit crisp that you and your friends will love. There's nothing artificial, no added sugar - just the best fruit around. 2 real fruit servings in each bag! If you have any questions about this product by Brothers-ALL-Natural, contact us by completing and submitting the form below. If you are looking for a specif part number, please include it with your message.